Get Rid Of Acne Naturally With Some Surprising Results From Natural Acne Treatments That Really Work. 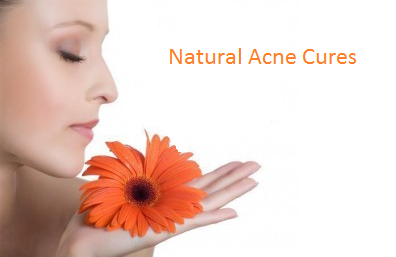 If You Are Looking For Ways To Get Rid Of Acne Naturally Then Your At The Right Place. 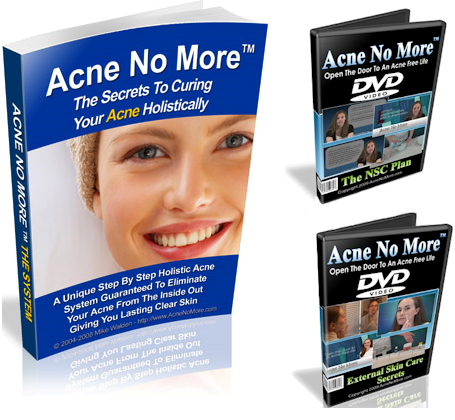 Find Out The Latest And Greatest Remedies, Cures And Advice For Hormonal Acne, Cystic Acne, Mild-Severe Acne And Bacne. Acne And Pimples are those red sore lumps on the skin that turn into pustules, white heads and blackheads also known as spots and nodules. These side effects of the skin condition called acne vulgaris are embarrassing, upsetting and depressing for the population that suffer from them and it can cause lack of confidence, self esteem, bullying and that’s why they need to be “gotten rid of” and quick. However once acne has been and gone it leaves holes, pits and scars in the skin where it once was and these can be more heart breaking than acne it self. There are many forms of acne and areas it is common to have and they are the back, face, neck, shoulders and chest. Pimples are classed as acne and your going to find out everything about them with nothing skipped. How Do You Get Acne Pimples? There are a number of causes for pimples to arise on those days when they are not welcome and your trying to look your best (Weddings, parties and socials) and I am going to tell you them all and explain how so you will never need to know anything else. Hormones: At certain ages in your life you hormones will generally be more active than others. Teenagers suffer from acne the most and this is because the body is growing from a child to an adult. Roughly at the age of 9-11 the body will undergo some changes and the sebaceous glands underneath the skin will become routinely more active. Its the sebaceous glands job to produce oil to keep the skin from drying out, keeping hairs moist and prevent damaging. Children’s sebaceous glands produce hardly any oil before puberty ‘kicks in’ however when teenage years appear these glands produce about 5x more oil which makes the skin oily. This oil is one of the main causes of acne because it blocks pores, caused irritation and cause pimples to appear. Irritation: Pimples biggest rival is irritation, this is because irritation is a very common cause of those random pimples you get that make you wonder “How did I get that random pimple”. When two parts rub for example the chin with a scarf this causes the skin to become irritated and will react with inflammation, sore red lumps under the skin. This can be easily avoided by not touching acne prone areas if you have acne regularly (Acne Prone Skin). Cleansing: The oil that builds up on skin can cause pimples and to keep these under control it is advised to use a good daily cleanser that will not irate skin or cause acne breakouts. What people do not realise is that your skin is very sensitive to products, chemicals and daily habits and using a good face wash for morning and night you can greatly reduce the chances of pimples occurring and oil builds up. Keep reading to find out the best treatment for existing pimples and cures to stop pimples. Foods: All foods are categorized into High and Low GI foods and what this means is when foods are consumed, are they turned into glucose and high GI foods cause hormones to be more active in the process and low GI foods are less active. High GI foods can cause acne breakouts more frequently and examples of these foods are cereals, white rice and white bread. These can cause random pimple breakouts because the hormones in the body are working harder for the body and this affects the sebaceous glands oil production. Fingertips: Hands and fingers go through a lot every day and touch millions of surfaces and pick up bacteria, dirt and oils. Should you touch your pimples with your fingertips now that I told you that? Picking, squeezing and touching acne prone areas can cause pimples to become angry/red due to the bacteria and dirt getting into pores from your hands. Phones also are a culprit for pimples because phones touch many surfaces daily and when using the phone against the side of the face it can cause acne breakouts. Hair wax and Gel: If you suffer from pimples on your forehead and head then it could be because the gel, wax and hair spray your using could be irritating your skin causing to breakout. 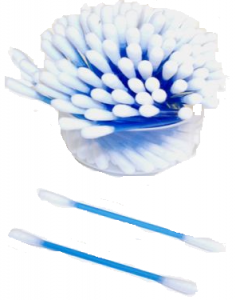 This can easily be reduced by reducing those sticky gels, wax and sprays and using them less often. Pimples can be caused my many different factors and any of these can cause acne breakouts to summon war upon your skin so avoiding all of these can reduce acne greatly and quickly. So you have learnt about how you get pimples now lets talk about getting rid of pimples effectively with trusted high demand treatment for those “embarrassing pimples” so they can be gone forever and beyond. Pimples are easy when you understand how to get rid of them and stop them from returning. There are many effective treatments that clear up acne within weeks. If you looking for a good treatment that WILL reduce acne, eliminate existing acne and stop it from coming back then this completely natural treatment can benefit you greatly. Natural is the best way to treat acne because it is safe, quick and easy and has no side effects. Some tropical treatments contain strong chemicals in which do work however can cause excessive dry skin, inflammation and burning sensations. Because of this we recommend this high demand acne system of the century. If you suffer from acne then you have probably heard about this products success. But before you buy see the review on it just to be sure you are getting the best out of this system. Acne No More will take a completely different approach to any other treatment you have tried and that is one of the reasons why it is so popular and easy. Most people claim there pimples, spots and zits to have died down within 2-3 weeks and many say that its completely gone by 3 months. This treatment is one of a kind and not one to ignore If you suffer from pimples every day. Plus it has a 100% Money back guarantee so you can buy in confidence. The pimples, spots and zits that you suffer from can be “embarrassing, annoying and depressing” but you have learnt how to control your pimples breakouts and how to treat them naturally for best results. Using the advice and tips I have given you, you could be acne free within a month and laughing at your old situation. (Trust me I’ve been there and thrilled its gone). Get your Acne No More Today cheaper than anywhere else here. There are many Anti Inflammatory for acne that are completely natural however which one is the best for hormonal, severe and mild acne. Acne has been plaguing us since the early ages and has been looked at as evil, diseased and dirty however that is not the case. The skin condition Acne (Acne Vulgaris) can appear in various different areas such as bacne, scalp acne, chest acne and the most common facial acne. 85% Of the population suffer from this embarrassing, depressing condition and it causes pimples, blackheads, pustules, whiteheads and nodules to arise on the surface of the skin causing red, angry inflamed skin. Inflammation is caused by pimples/spots which makes acne become worse whilst causing skin to become irritated and acne breakouts are the result. Because of this I am going to be talking about the best anti inflammatory for acne that are natural and I have tried and tested. 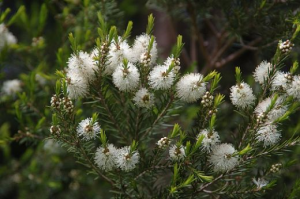 This is a natural oil from the Australian tea tree plant and has many healing properties including anti-fungal, anti bacterial and soothing properties. Tea Tree Oil was used in the wars for dealing with patients who were wounded, ill and in pain and this is because its very beneficial for cuts, fungal infections and acne. The anti inflammatory in this oil is very useful for breaking down inflammation and soothing angry skin from acne pimples/spots. This is not the only benefit that tea tree oil has for acne, the anti-bacterial properties will remove the bad bacteria on the skin that help acne breakouts to occur. Because of this Tea Tree Oil is one of the best natural anti inflammatory for acne. Salicylic Acid is a common acne treatment for pimples, spots and inflammation and very good at what it does. Most excellent acne treatments you can get that work really well will incorporate salicylic acid with other harsher chemicals like benzoyl peroxide to stop acne from coming back. Although Tea Tree Oil and Salicylic acid do similar things, which one is better for acne. In terms of strength Tea Tree Oil is not as strong compared to its rival Salicylic Acid which will get to work faster and dig deeper into pores however Tea Tree Oil will not cause skin to dry up like Salicylic Acid will so they both bounce of each other. My personal opinion for treating inflammation is…. DRUM Roll Please…. However if you want to use tea tree oil for your acne then there are a few things you need to know about tea tree oil for acne. There are many different types of anti inflammatory for acne however the best two are Salicylic Acid and Tea Tree Oil and this is because they both work hard at reducing inflammation, soreness and aid acne by healing skin and soothing. The reason why you need pure, organic and 100% Tea Tree Oil is because it will benefit skin the most. Cheaper oils with added ingredients cause acne breakouts and make inflammation worse so stay away from them and use the recommended one above for best results. 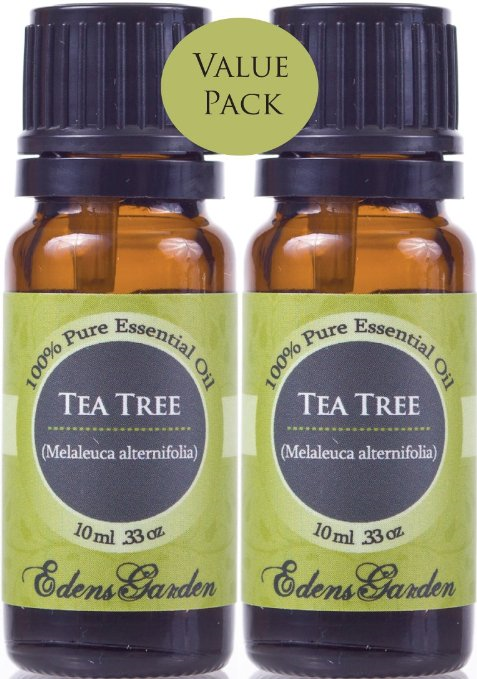 If your looking for more information on how to use tea tree oil properly for acne Click Here. “Pimples On Chin And Jawline” How To Get Rid Of Them Fast! Pimples appear in some very strange places but the most common places for acne pimples are the face, back, neck, shoulders, and back. However pimples on the chin, scalp, legs, bum and tongue are becoming more common and are easily solved if you know how. I am going to talk about the causes of pimples and how you can stop those annoying acne breakouts from rearing there ugly heads. Because There Not Wanted! The Jawline and Chin when inflamed with pimples, spots and acne breakouts can really be irritating and aggravating. When these pimples appear they catch you by surprise because they are not always visible in the morning mirror so they need to be stopped and fast. Here are 5 Ways to Stop Pimples Completely on the Chin and Jawline. Irritation: If your not a regular when it comes to having pimples, then do not panic if this is your first pimple(s). One of the biggest causes of pimples is from irritating and that includes itching, picking, contact with items and interaction with fingertips. All of these can cause unnecessary breakouts of pimples and spots. Scarves, head wear and hoods can irritate skin when its sensitive and cause skin to become red, sore and inflamed with a pimple. To avoid this you simple need to make sure the area is cleansed before letting items of clothing become in contact chin and jawline: If you still looking for the right Cleansers for your skin then see what others are saying at Amazon Here . Daily Face Washes: What do you use to wash your face morning and night? Could that be causing your random pimple breakouts? Look at your cleansers, face washes and shower gels to see if they could be the causes of pimples and making skin sore. Harsh soups and abrasive washes will never make pimples go away, after all acne pimples are not dirty and cannot be washed away with scrubbing, scratching and washing more than twice a day. Picking & Squeezing: This is a bad habit and everyone does it. The truth is that if you pick and squeeze pimples and spots they will not go away however irritate acne breakouts. It simply makes the surrounding area worse and then irritated thus causing more pimples. Avoid this to see improvements. Spot Creams: Your existing inflammations and angry spots need a helping hand. Buy a simple spot cream to use over these to help the inflammation. Or Alternatively read the new natural cure that clears up acne effectively without using any creams. Foods: Foods you eat can cause breakouts because some foods like cereal, takeaways and sugars cause hormones in the body to escalate rapidly which results in the production of excess oil which increases the chances of acne (pimples). These can be stopped by eating The Top 5 Acne Killer Foods. Skin routinely creates an oil called Sebum. This sebum is created under the skin by the sebaceous glands which then pushes the oil up through pores on to the surface of the skin. On its way it removes bacteria, dead skin cells and dirt to keep skin fresh, moist and to prevent damage. These dead skin cells, bacteria and excess oily sebum can get pushed back over the pore and cause a blockage or causes a sticky plug when being pushed out of the pore. This is why irritation can cause pimples and touching skin with fingertips can cause acne pimples to become worse. 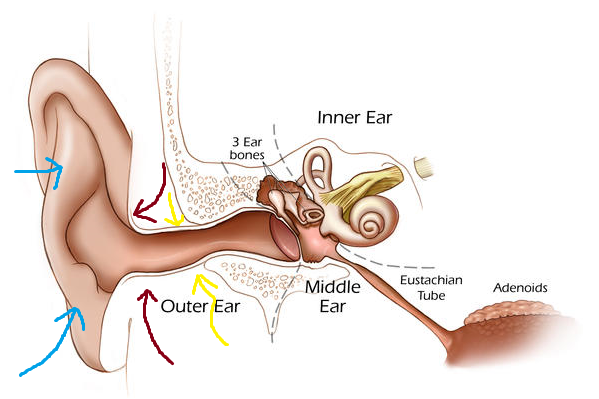 Under the skin, the sebaceous gland will still produce sebum that will try and push oil out of the pore but because its blocked it will instead increase in size, becoming inflamed because bacteria is trapped in the pore. The white blood cells will rush in to fight of the bacteria. This will eventually look like a red lump with a white centre. If you look after your skin, it will look after you and using a mild cleanser for morning and night can really benefit your skin and reduce pimples from returning. If you prefer natural ways to keep skin looking healthy and clear then oils such as Grape Seed Oil are very good ways to keep skin calm, soothed and clear naturally. Pimples can randomly appear out of the blue but most of the time its because of simple habits, foods and irritation. These all can be prevented to reduce chin and jawline pimples and acne breakouts occurring. With these simple tips you can now finally ‘get rid of pimples’ and start enjoying the little things. Here are some points to remember if you don’t want pimples anymore. Getting rid of acne naturally fast or overnight is every acne sufferers dreams because acne (Proper Term – Acne Vulgaris) can disfigure, frustrate and be embarrassing for the high population that have acne prone skin. Mild acne – Severe acne affects 85% of the population at some point in life from the age of 9-50. This is why Natural Ways To Get Rid Of Acne Fast is a hot topic and needs a natural acne treatment that really works. There are many causes that can spark acne breakouts on those important days when you want to look your best however this simple surprising trick could stop those pimples, inflammation and sore skin from ever coming back. One of the many causes that cause acne breakouts are irritation and oily skin. Acne prone skin is very sensitive and can react in the complete opposite way when treated with topical lotions and creams that are prescribed by your dermatologist. That is why natural is the best way to clear acne and side effects of natural acne treatment are very minor if any.. How do we stop irritation? Simple really when you know how to cure acne naturally with this simple trick. The best way to get results with this is to follow this rule. DO NOT TOUCH your acne prone skin from now on. This sounds easy but if you suffer from acne on the face or back (bacne) then you will not realise how much you actually touch these areas and every time you do, you cause problems for your skin 1-2 days later when you have forgotten about it. If you have a itch, your natural reaction will be to itch right? Get out of this bad habit and jump on the new habit to cure acne naturally today. Avoid contact with fingertips and acne prone skin to reduce acne breakouts. This includes squeezing, picking and rubbing or apply pressure to those sensitive areas of skin. Think you have tried every method for acne treatment? Well you probably haven’t tried this one because know one knows about it other than a few acne treatment specialists and is completely natural plus easy to do. This treatment is one to observe because everyone’s skin is different and reacts differently. This trick involves nothing on your behalf so it makes getting rid of acne fast. Simply defy your normal skincare regiment and only wash, cleanse and clean your acne areas in the morning and when it comes to bedtime leave acne prone skin until the following morning. This may sound disgusting or abnormal however it really is a case of letting your natural oils on your skin build up to protect skin when you sleep to avoid irritation. This is a trial and error because everyone’s skin is different but its completely free and easy to try so you may just find you acne problems from this and solve them. If you combined this with Sleep Away Acne Overnight you will see excellent results. 2. Experiment with your acne and see if different regimens works (Read Sleep Away Acne Overnight for best results.) Click Here. This one involves “shower time” and how you should use the shower to gain clear acne skin and this will reduces inflammations, future breakouts and much more. In fact I still do this one to date because it works. If you wash your acne areas in the shower with normal shower gels and body lotions you could be causing your acne to be provoked and this is not good for all forms of acne because it results in more pimples, spots and acne. For example. Acne on the face can be reduced by simply not washing in the shower and instead just letting the shower water rinse over face to help clear pores naturally. This is a great way to keep skin from becoming irritated and reduces oil build ups. Sometimes this can make skin become dry and this is good for acne prone skin because it will keep oil levels low and stop any acne from building up. Then use Grape Seed Oil or Jojoba Oil to moisturizes away dry skin. 3. Use the shower to your advantage instead of causing acne breakouts from it. These simple tricks and tips could be the end of your acne from now on and you will be able to enjoy your life once more acne free naturally and free. 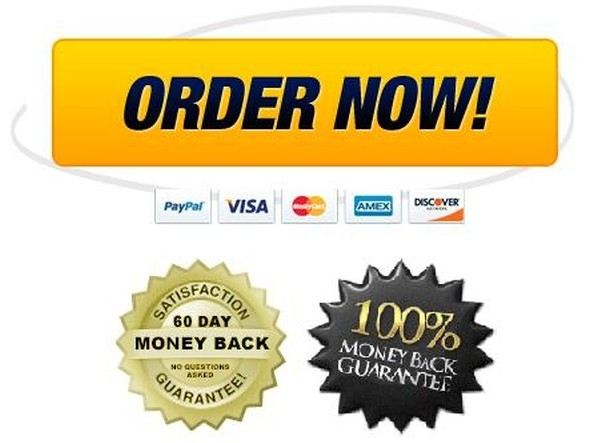 I am not trying to take your money I honestly want to help and this have really cleared up my mild to severe acne in a days- weeks with excellent results. Should you try any or all of these simple easy natural ways to tackle acne from the roots? Yes, what have you got to loose its completely free and harmless to skin and will cause no side effects or burning/stinging like other medications on the market. When I was using these tricks I was constantly experimenting with them to see what works and why. I recommend watching the results and keeping a note of what is working and what is not. These should dramatically reduce your acne through your own personal habits and clear acne naturally. Fear not if acne may become bad one random day, that could be what your eating and if you like to eat tasty foods then you need to read The 5 Best Foods To Eat Away Acne Breakouts (FACT).